I've been asked a question recently about how you can edit a review you've submitted on FoodDigger. The first thing you need to do is make sure you are logged in to FoodDigger. 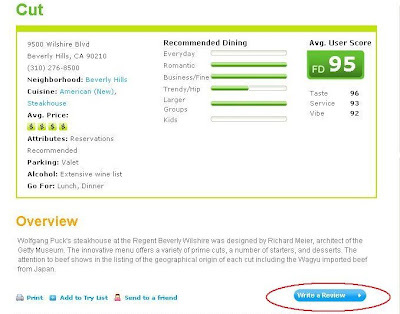 Once you are logged in, you will see that on the restaurant page for any restaurant you have reviewed the "Write a Review" button has been replaced with an "Edit Your Review" button. For example, I have not been to Cut in Los Angeles yet (although it is on my Try List) and haven't written a review for it. Therefore, when I go to the Cut restaurant page on FoodDigger, the button underneath the restaurant reads "Write a Review". 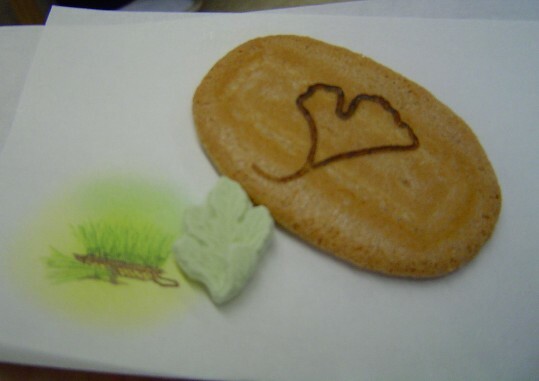 However, one of my favorite restaurants in San Francisco is A16 and I have written a review for it. 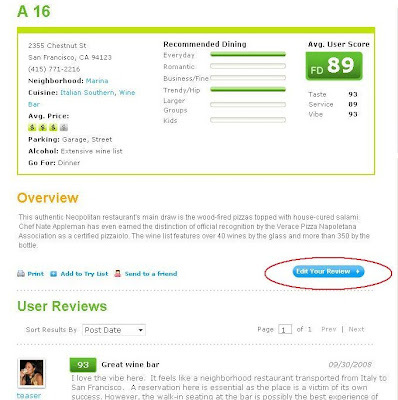 So when I go to the A16 restaurant page the button now reads "Edit Your Review". (If you are not logged in though it will still say "Write a Review" because we don't know if you have reviewed it. That's why it's important to log in first.) Click on this button to edit your review at anytime. To get to a restaurant page for one of your reviews you can use the Search box or click on the restaurant name when browsing through your reviews from your MyFD page. I hope this helps! I think you should also explain that once you've written a review, you need to either send the review to your friends or click "No, thanks" to return to the edit review screen. Thanks for the editing tip; done it a few times myself. Would still find it useful to have an "updating option" too so visitors can easily tell when one first visited & re-visited the place (or at least saves reviewers a few keystrokes from having to type that out in the entry when editing). Thanks for the feedback. Will put them on the list. Take a Bao - Asian Fusion?